This super delicious overnight French Toast Bake recipe takes French toast to a whole new level! Pieces of sourdough bread covered in an egg mixture, topped with cinnamon sugar, and baked to perfection! 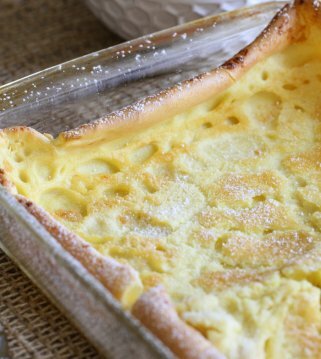 This easy French toast casserole is the ultimate holiday or weekend breakfast!! I’ve blogged before about my love of breakfast foods. I could eat it any time of the day, and it’s fairly common to come over to the Merkley home on an evening and find us eating Belgian Waffles or Buttermilk Pancakes. One of my favorite recipes to enjoy on this day is French Toast, and more specifically, today’s French Toast Bake. This breakfast bake is simple to make and is beyond delicious!! This french toast casserole is made from pieces of sourdough bread, covered in an egg mixture, and topped with a buttery cinnamon sugar topping. Talk about DELICIOUS, right?! What is the best bread for french toast? This baked french toast casserole recipe calls for sourdough bread, which is my personal favorite (and the only kind I’ve ever used). But if you don’t have sourdough on hand, there are a few other options you could try! If you try any other breads, you’ll have to let me know how it turns out! I think what makes it so good is the sourdough bread… oh, and the butter and the cinnamon and the sugar. It’s definitely one of our favorite dishes to make for holidays and weekend breakfasts! This recipe takes a few steps but is quite simple. 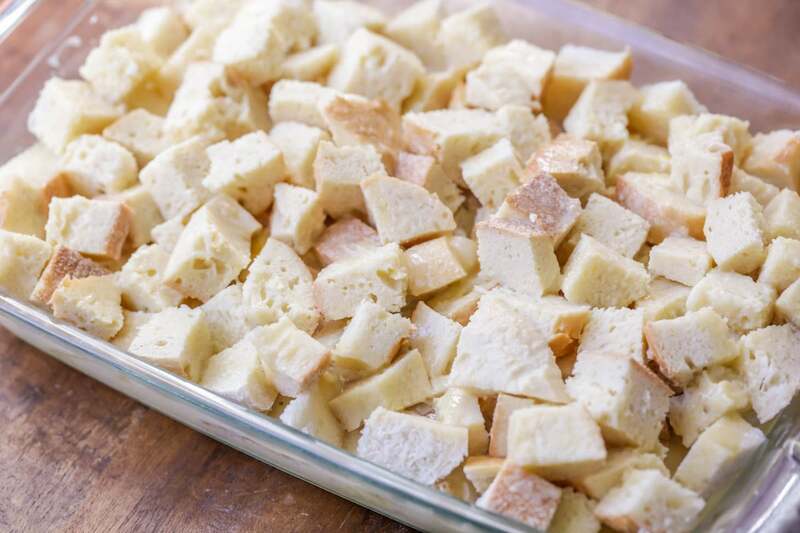 To begin, cut your bread or loaf into cubes and place into a greased 9×13 pan. In a bowl, mix together eggs, milk, heavy cream, sugar and vanilla. Pour evenly over the bread. Cover your pan with cling warp and refrigerate overnight. 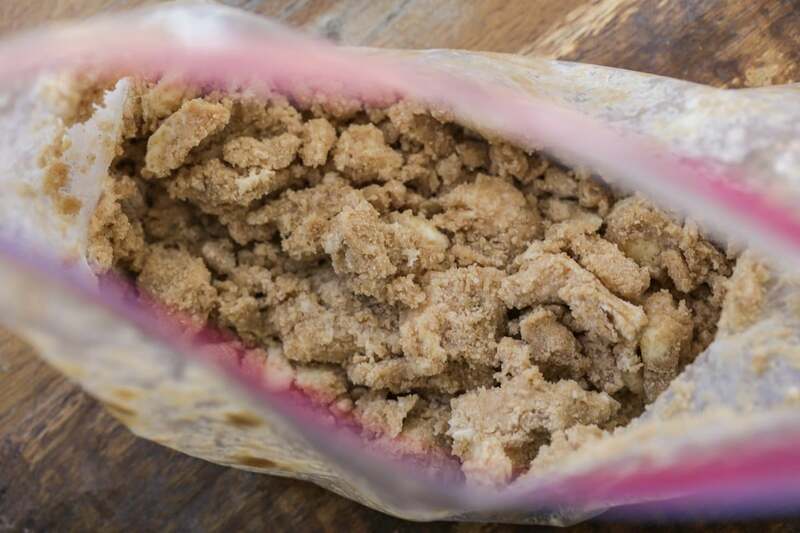 Make streusel topping by mixing together flour, brown sugar, cinnamon and salt in a medium bowl. Cut in butter with this mixture until crumbly and place in a Ziploc bag. Refrigerate this mixture overnight as well. When ready to bake, sprinkle crumbly mixture evenly over bread and bake. Why is my french toast bake soggy? Soak the bread in a separate bowl: If there’s too much egg in the pan it may be left a little soggy. One way around this is to store your bread mixture overnight in a bowl. In the morning transfer the bread to the baking dish leaving behind the extra liquid. Choose the correct bread: choose a dense bread such as Brioche, Challah, Pullman Loaf, or French Bread. Use a lipped cookie sheet instead of a 9×13 baking dish. You will have to adjust the bake time and watch carefully. Not soaking the bread long enough: You want the egg mixture to seep deep into the bread for a soft custardy center. If the mixture doesn’t have time to soak into the bread it may end up creating a soggy mess. Can you freeze french toast bake? Yes, you can choose to freeze it before or after baking. Wrap dish with plastic wrap then foil. It can keep for up to 2 months in the freezer. When you’re ready to eat thaw overnight in the fridge, remove all the wrapping and bake. If it been prebaked cook at 350 degree F for 20 minutes. If it has not been pre-baked, cook according to recipe directions. Can french toast casserole be cooked in crock pot? Yes make according to recipe directions. Refrigerate for 6-10 hours in the ceramic crock pot. Place the ceramic pot into the heating base, cover and cook on low for 4 hours or high for 2 hours. Cut loaf into cubes and place evenly in a greased 9x13 pan. In a bowl, mix together eggs, milk, heavy cream, sugar and vanilla. Pour evenly over bread. Cover your pan with Saran Wrap and refrigerate overnight. Mix together flour, brown sugar, cinnamon, and salt in a medium bowl. Cut in butter with this mixture until crumbly and place in a Ziploc bag and refrigerate overnight as well. Take pan and Ziploc out when ready to bake. Sprinkle crumbly mixture evenly over the bread. Bake at 350 for 45 minutes to 1 hour depending on how soft you like it. Recipe from Mormon Mavens in the Kitchen. This looks amazing! We love french toast! I’m so in love with this. I love baked french toast! Of course!! I think it would be great! Honestly I can’t even say how many times I make this. I made a trial recipe in anticipation for house guests I had coming. It went well. um… realllllly well. This recipe is so delicious. I make my own authentic sourdough so it was a reallly good. I learned the hard way- you really do have to let the bread get stale or dry it out somehow- that was the only batch that was a little less tasty (it still got eaten). Plus the more dried out it is- the more aromatic when it’s baking. I made it when my house guests were here. AND I made a batch the day before they were leaving (driving back home) and I had this chilled for them to take. FYI- it tastes good cold AND reheated. This is going in my big recipe book as a keeper! Guess I have to keep making my sourdough. 😉 Thanks for such a great recipe! It fed my family of 7. I just found this on Pinterest. I had to tweak it a little for what we hand on hand – stale whole wheat sourdough, no buttermilk (used whole milk), no butter (used 2 tbsp coconut oil), but it was AMAZINGLY delicious!!! Thank you for sharing this recipe!!!! Glad it still worked without having all the ingredients! It really is super delicious! This was the best French toast casserole I’ve ever tried. A suggestion tho, take out about 90 minutes before baking instead of putting it in cold. Firms up a bit more. Also let sit about 8-10 minutes before serving! Thank you, Sandy! Will definitely try that next time I make it. Have a great day! This sounds great! Do you use the sliced, packaged Pepperidge Farm loaf from the bread aisle? Or is this a whole loaf that you cube? Thanks! How many ounces is the loaf of bread? Thanks! Can I do this with ordinary homemade yeast bread? Would white or wholemeal bread be a preferred choice? I don’t have or know Saran wrap. What can I substitute it with? Can I use homemade yeast bread? Would white or whole meal be better choice? Also what’s the purpose of the wrap? I made these yesterday. They were delicious but I made far too much. I added some more eggs about 12, buttermilk, oil and flour and made the nicest food I’ve ever tasted. This is ourcouponss.com thank you for your great sharing, we all loving french toast! But i got a problem: in your Instructions, “Cover your pan with Saran Wrap and refrigerate overnight.” why should refrigerate it overnight? Thanks. Letting it sit overnight let the bread absorb the egg mixture. It gives it almost a bread pudding texture. Definitely an important step. What size is the loaf of bread? I made this just the other day to take in to work and it was a huge hit! So easy to make and very yummy. I made this for brunch. Prepped everything last night and tossed it in the oven 45 minutes before guests arrived. It was delicious! It made the house smell amazing as well. Thank you for sharing. LOVE to hear that!! Reminds me that I need to make it soon too. Thanks for stopping by, and Merry Christmas! Hope you like it and Merry Christmas!! Can this be made completely ahead of time the night before and put in the fridge? Or will it be too soggy? Looks amazing! This looks amazing! I’m making this for my family for Christmas morning, my kids and husband are all fans of french toast. And if everyone loves it this will be our Christmas morning tradition! Has anyone tried prepping this ahead of time more than just overnight? I’m looking to make for Christmas morning. Bbt we will be busy the night before was thinking about making the morning before. Any feedback? I couldn’t wait to cook it overnight. I poured the milk&begging mixture over the mixed bread bread cubes. Topped with pats of butter and sprinkled with a little cinnamon,nutmeg,and ground cloves. Than topped with the flour/butter/sugar mixture. I soaked that for one hour than baked it in the center of the oven ,not too close to the top, in a buttered dark glass Casserole dish, @ 325 degrees for 45-50 minutes. Uncovered. Came out great! P.s. In the authors photo, is the French Toast dusted with Confectioners Sugar? Looks like it. I didn’t need pan cake syrup. Sweet enough. I came across this recipe on Pinterest and I’m so happy I found it! Yesterday, I attended a Christmas brunch with my run group and my French toast were a huge success!! Everyone asked me for the recipe. I made two pans and by the end if the event there wasn’t a single piece left. I can’t wait to make these French toast for my family in Christmas morning. Oh, I LOVE to hear the recipe was a hit!! So glad everyone liked it and I hope your family enjoyed it on Christmas too! I want to make this and bring to a breakfast the next day. I might have to warm it a little when get there will this work? Yes, You could stick it in a warm oven (low temp, if it has already been baked). It will be a hit! 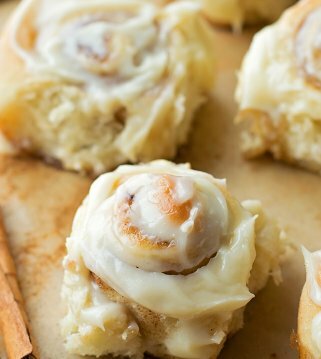 I would love to make this for tomorrow morning…I have a package of croissants. Do you think that would work? I have the larger croissants from Costco. If you think it would work about how many should I use? I made this over the weekend and have some concerns about it. I started cutting away at the loaf and didn’t get 3/4 through before it was too much to fit in the pan. After baking it, the top portion was delicious and amazing but the bottom was very mushy. Do you have any suggestions on how to improve? I am making this right now and I am having the exact same problem. The top is great, the bottom is super mushy. I’m thinking it was due to the amount of bread. I probably should have only used half the loaf. 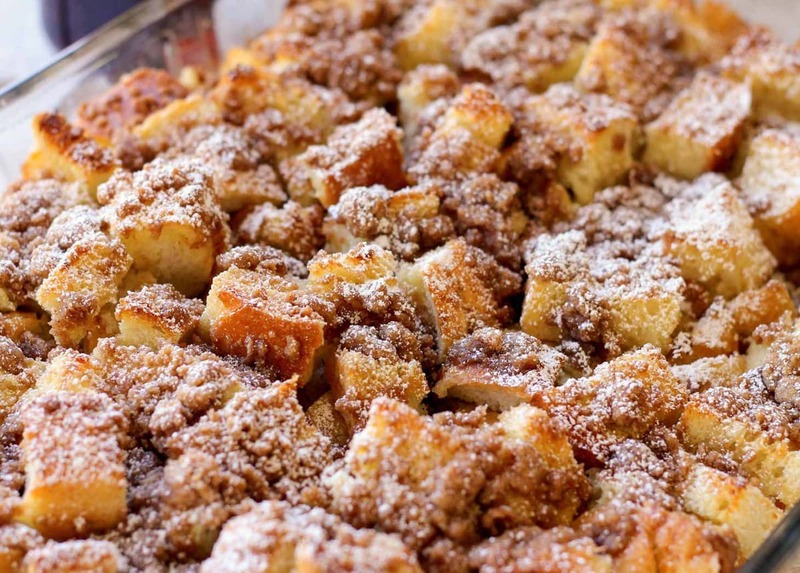 Your basic bread pudding with a crunchy cinnamon sugar top. Made this over the weekend for a family brunch and it was a hit! Super easy to make which was the best part. Will definitely make it again. I used cinnamon raisin bread instead of sourdough and about a 1/4 c less white sugar. What is the size of the loaf you use? Thank you! You seem to be the only person to answer this question! Actually, you can purchase 1 pound or 2 pound size, which would be helpful to know in order for the recipe to cook correctly. This was great!! My family definitely loved. I’m not sure why people changed it. It was greats the way it already was. DEFINITELY will be making this again and again. I don’t agree with the comment about the stale bread. You don’t want overly hard French toast, that’s not what French toast is supposed to be. Baked for 50 min and let it sit for a few. Delicious!!!! Do you have to refrigerate overnight? Is the French toast casserole a make ahead and freezable til you need it kind of dish???? I need three ideas that I can make ahead and freeze!!! Did you end up freezing it? How did it turn out!? I’m looking to do the same thing! did either Of you try freezing it? Do you cover this when baking? DELICIOUS!!!! Next time I will cook for about 8 minutes less, was too well done on corners. Didn’t change a thing and it was a huge Christmas hit! Cooked the dish 30 minutes longer and the dish was still not fully cooked…. This is delicious!!! A coworker made it for a staff breakfast and everyone went home with the recipe. I could drink the buttermilk syrup! If I prepared the French toast bake and kept it in refrigerator for 2 nights would it still be as good? I will have to try a half-size version of this! My guys aren’t big fans of french toast or cinnamon but it’s my favorite! Sadly this was not a successful go in this house. I substituted sourdough with cinnamon bread and it was extremely runny. I ended up cooking it for about an hour and a half and still mushy and runny. I recommend if you use this kind of bread to spread ingredients on a cookie sheet then bake. Sad day. O my god ! This toast is wonderful. I like it because i’m a french. It is wonderful and so tasty!!! I love the french culture!! Thanks for stopping by! It’s delicious!! It will be a hit! Thanks!! is this something I could pre-make and freeze? I have my step-children coming up in a couple weeks to stay for a couple more weeks and I’m trying to make things before hand that I can heat up for them. I honestly haven’t tried that. I would maybe leave the mixture off & refrigerate that separately & add it before you bake it. Let me know if you freeze it..I’d love to know how it tastes! Don’t be 🙂 It shouldn’t be. Hope you’ll give it a try! It really is so good! This recipe is PHENOMENAL. I cannot thank you enough!! We traditionally have a french toast bake for Christmas mornings and my hubby is the one who makes it– even he said this one beats the snot out of his!! Now we’re eating it pretty much every other weekend…hehehe. No regrets!! Thank you thank you thank you! LOL!! I’m so glad you all like it! We love anything french toast and this is a favorite! Thanks so much for letting me know! It came out great. However, the top was a bit hard. Any suggestions?? Store in a bowl and mix the bread and wet ingredients multiple times. The liquid will be more evenly dispersed. Wow! This looks to die for! Pinning this to make for this year’s Christmas morning. It is!! Thanks so much! Hope you love it, like we do! I just made this for a brunch tomorrow. My “crumbles” for the top are not crumply. Its the consistency of cookie dough. Any tips? Maybe add more flour? This recipe was a hit at our house! Our girls can’t have dairy, so I substituted Coconut milk and coconut cream instead of dairy. I added diced bratwurst for some more flavour and substituted fancy molasses instead of butter in the topping. The whole family loved it! Thank you for the inspiration ???? I’m so happy to hear that! Those a great substitutions..thanks for sharing those ideas! Hi! This recipe looks amazing! I’m wanting to try it for a family reunion this weekend. I have one question about the bread. Did you use the pepperidge farm sourdough loaf that is already sliced–like regular bread? Or do you use the crusty sourdough boule? I live in a small town and am limited on my bread choices. But I don’t want a soggy mess 🙂 Thanks!!! This looks SO delicious! We have breakfast for dinner about once every 2 weeks…and this would be a nice change from eggs and hash browns! I am altering the recipe a bit…because of high fat concerns, I substituted the eggs with egg beaters, and the milk with 2% milk. I decided to use the real heavy cream as it sounded like it was an important ingredient, and it was only 1/2 cup for the entire casserole. Hopefully it will come out ok! I also am not a fan of sourdough bread, so I DO like Challah bread for French toast…and found a whole loaf ( unsliced ) at my grocery store! Hopefully all these changes won’t make too much difference in the outcome! I’d love to know how it turns out!! Thanks for sharing your changes! Hope you like it! Holy YUMMYNESS!!! It came out fantastic! I mean, I haven’t made YOUR EXACT version to compare it to…but this was seriously great! My hubby and daughter already inform d me I WILL be making this again! I just wanted to get back to you and let you know how amazing it was! Thanks again for the great recipe! I’m so glad 🙂 Thanks so much for letting me know!!! All recipes looks so good. Thanks for sharing. Thanks so much!! I’m glad you stopped by!! I am planning to make this over the weekend but have a small question, the instructions says to bake in the oven at 350, does the pan have to covered in foil when in the oven or uncovered? It is uncovered. You only need to cover it when it goes into the fridge overnight. Thanks for giving this recipe a try..hope you enjoy it!! We mad this on Saturday and it was just delicious!!! Everyone loved it! So easy to prep and make! Thank you for your reply and thank you for sharing! I’m so glad everyone loved it!! Thanks so much for trying it and letting me know! Hi! What a yummy looking recipe! I’m wanting to serve this at a Sunday morning brunch party this weekend but working with a short time limit on Saturday night (at a wedding) Id like to make it Saturday morning to refrigerate until Sunday morning. Have you ever made it a full day ahead or will the bread just absorb too much? I haven’t made it that far in advance, but it does need to be refrigerated overnight, so it should be ok. I wish I knew for sure :/ Let us know how it comes out, if you do make it that far in advance. Have fun! On your french toast cassarole dish, can u serve at warm temperature. Would love to take to a potluck party. Can make at home in a glass dish. But it wont be served for a 1 hr after i get there. any suggestions would be greatly appreciated. I meant french toast bake sorry. Can you put foil on it and maybe keep in someone’s oven? I haven’t made it and left it out that long, before serving it. So, I wish I knew if it would be ok? You could bake it and cover it well. Sorry, to not be more help. Hope it turns out!!! I want to try this recipe but from what I have read in the comments there are concerns about it being soggy on the bottom. Will it be soggy or is there a way around that? Thanks in advance. It shouldn’t be. Just remember that all ovens are different, so the cooking time may be different. It is soft on the bottom, but shouldn’t be too wet, that you don’t like it! I would like to make this for my work but I am worried about the soggy bottom. What causes this & how do you fix it. I’m not really sure how to avoid that. As long as you follow directions, it should come out just fine. Thanks! Is this something you eat with syrup or without? What’s your preference? You can or don’t have to. 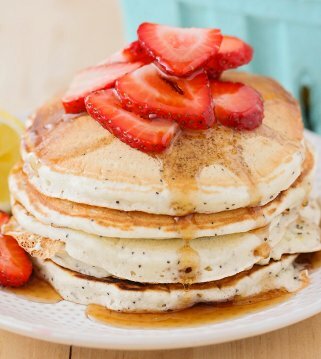 I like to drizzle a little on there, because I love syrup 🙂 Hope that helps and thanks so much for stopping by! Well, it’s in a 9×13. Depending on how big your scoops are, it could feed anywhere from 12-15 or more, if they’re smaller amounts. Hope that helps! Hope you enjoy it, as much as we do! I made the Crumb Cake French Toast for a brunch and everyone loved it!! I was afraid it might be too sweet but it was perfect….I agree with you about the sourdough bread. This one will be made again I’m sure! Thank you! Thanks so much for sharing!! So, glad you all liked it! It depends on how big your servings are. It could feed anywhere from 9-15. Hope that helps!! Thanks so much! Do you leave your sourdough out to get stale or use fresh sourdough bread? Looking forward to trying this Christmas morning! I used fresh, but you could let it out. I bet that would be great, too. Hope that helps! Thanks so much! Enjoy!! No it doesn’t 🙂 Hope you like it! Thanks! Thank you! How’d you like it? I assumed heavy whipping cream is same as heavy cream! I hope! I have this in my fridge now ready for tomorrow morning! that’s what I have too! Sorry to respond so late!! How did the recipe turn out? Starting to make this now to take to work for Christmas morning. I forgot the recipe said to refrigerate overnight. I was hoping to not have to get up extra early tomorrow morning. 🙁 Does it have to be refrigerated overnight? Sorry, to not have responded sooner! I took some time to be with family..did it turn out? I’ve always refrigerated it overnight, so I wouldn’t know the difference between not doing that. I hope it turned out!! OMG…. this is sooooo yummy!! I made this for New Years Day morning! I added some fresh ground nutmeg to the topping and to the liquid. Served with real maple syrup, whipping cream, and some pasture raised pork bacon!!! Thank you so much for posting this recipe! I am thinking that I will be making this quite often???? Oops, I forgot to mention that I also used coconut sugar in place of cane sugar in both liquid and topping!!! That all sounds wonderful!! I’m so glad you like this recipe…we love it!! Thank you for letting me know! I made this for Christmas morning a couple of years ago but used brioche. Delicious! Sounds yum! Thanks so much for stopping by! Great recipe! Thank you for taking the time to not only post it but for responding to everyone! I made the recipe exactly as you wrote it and it turned out wonderful….will definitely make again and again. Can I make the French toast with bread that’s about to go stale? Sure! I haven’t done that, but I don’t see why it wouldn’t be ok. Hope you like!! 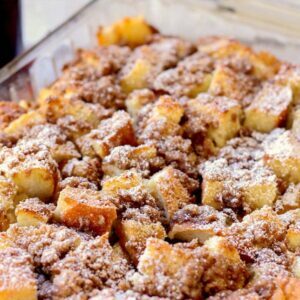 I have a question, I was searching Pintrest for French Toast Bake recipes and came across this one and wondering if Cinnamon Swirl bread could be used instead of the sourdough, Thanks! I haven’t tried, but it would probably taste great. That bread isn’t as thick as sourdough, so that will be another difference. Let me know what you think! Thank you! I can only locate sliced Pepperidge Farm Sourdough bread. Where are you finding unsliced? It is sliced, I just cut into squares 🙂 Hope that helps! The sourdough bread is just thicker than regular sliced bread. Enjoy!! Have you ever tried making this with gluten free bread, like Schar Artisan? If so, do any adjustments need to be made with the amount of liquid ingredients? I’m sorry, I haven’t. Has anyone else?? Is it okay leave it in the fridge for 24 hours before cooking? Yes, it should be fine, since it needs to be in the fridge overnight anyway 🙂 Let me know what you think! Thank you! No, I’m glad you found a way to make it gluten free!! Thanks so much for sharing and giving it a try!! I have also made it gluten free before being celiac! Wonder if it could be frozen in advance, I’m worried about wasting money on the bread if it won’t turn out. Have you tried freezing this in advance gf? Thanks! I have no idea why this doesn’t have 5 stars. I have made it twice now using the exact recipe and it is absolutely delicious. Everybody loves it!!! Thank you so much for sharing that!! I love hearing that! I haven’t not refrigerated it, so I’m honestly not sure. Setting overnight helps it to all absorb. You could always try?? I’d love to know. Thanks and good luck! I made this recipe recently with a few tweaks, and it was fantastic! It’s basically bread pudding. Yum! I used challah instead of sourdough, skim milk instead of whole, and 1/2 c of part skim ricotta instead of cream. It was still super rich and yummy! I also added sliced bananas in the middle. It’s now one of my brunch staples. Thank you for sharing. So, glad to hear! Thanks for sharing your changes. I’ll need to try adding bananas! Thank you! Maybe your oven is hotter than mine. You could try baking it less and see if that helps. Let me know if you still have problems. The best French toast ever! Great recipe.. I agree with you 🙂 Thank you for giving it a try! I have had this in the oven almost 2 hours and it just won’t cook??? I am sorry! It shouldn’t have taken that long. Could it be your oven? Did it ever bake? Made this for Easter service at church and potluck at work and everyone loooooves it! Easy and quick for kids! So, glad everyone liked it! How could you not 🙂 Thank you for letting me know! Prepped it the day before Easter and popped it in the oven the morning of. Came out fantastic! Cooked it closer to an hour and 15 mins and was not soggy at all. Thanks for the recipe! You are so welcome! Thank you for letting me know. So happy that it turned out for you! This looks amazing! I wanted to make it for dinner. How long would you recommend it to chill in the refrigerator before baking? What kind of flour do you use in this recipe? All purpose 🙂 Hope you like this recipe! Thank a lot! My mother-in-law used to make this for Christmas Brunch. She used whole pieces of bread. I think the cubed bread would be much easier to serve. Thank you! Made this for Mother’s Day brunch. It was a huge hit. Delicious. Cut the white sugar by 1/4 cup. That’s great!! Thanks so much for sharing! OMG! This was sooooo good! I was a little worried about using sourdough, but it was delicious! So easy too! The topping made it! This will be my new go to for brunch! Thanks so much for the recipe! Yay!!! SO glad 🙂 Thank you for letting me know!! Delicious! I used challah bread and baked it for 55 minutes. I served it with fresh berries and blueberry syrup. This recipe is a keeper and so easy to put together, if I can keep myself from eating chunks of the challah bread as I was making it! Thank you so much for your recipe! Haha!! That sounds great! Thank you for trying it and I’m glad it’s a keeper! Think I can prep this Sat am to be eaten Sun am? I know it says to just sit overnight but would 24ish hours be ok? That should be ok! I hope you enjoy!! Thank you! Haha…love it!! Breakfast for dinner is the best! I made this for a brunch potluck at work, and it was a huge hit! I made it all the night before (10 minutes to put together – amazing! ), so it would be cool enough to bring in the morning, warmed it in the microwave on low for 10 min and it was so moist and delicious. The one modification I did make, was to cut the sugar in the custard to 1/2 cup and I think if I made it again, I’d cut it even more to 1/4 cup. I’m not used to super sweet French toast and with the brown sugar in the topping, I think less sugar in the custard still works super well. Thanks so much for the great recipe! Oh, I am so glad to hear that!! We love this recipe!! Thanks so much for sharing! Hello, I’m trying this recipe and just curious how ‘eggy’ one is to expect this to come out? OR how hot the dish should get before being ready to consume. I wouldn’t want to serve uncooked egg and I’m unsure if this is even a valid concern. This specific recipe isn’t too eggy, like french toast usually is. Since it is baked, you shouldn’t be too worried about any uncooked eggs 🙂 Hope that helps & hope you like it! My dad recently had to have his hand/wrist amputated due to an accident at work, and I am currently waiting to put mine in the oven to take to him tonight for dinner! I am sure he will love it!!! Looks delicious!! My brother in law makes a French toast bake, so I’m hoping mine is better than his!! ???? Thanks for the recipe!! I made this for a get together with friends a few months ago. It was a HIT! (So much so, we have another one this weekend and I was told this is what I need to bring!) Thanks for sharing it. LOL! That’s a good sign!! So, glad they all liked it that much! Thank you for letting me know! Sounds wonderful! I’ll have to try that! Thank you for sharing!! Glad you liked it! Can you freeze this and heat in oven for how long? I would make it up until the last 2 steps. Add the topping on right before & just cook according to directions. Keep an eye & you may need to cook a little longer, since it was frozen. Hope you enjoy! Boy,does my house smell so good! This was so easy. Followed your recipe, but tweaked it a little. I didn’t wait overnight. I waited one hour. I used a mixture of breads beside the week old Sour dough, cubed them and put them in a buttered Casserole dish. Poured the milk & egg mixture over the bread cubes. Sprinkled with Cinnamon, Nutmeg and a pinch of ground cloves, and dotted the top with butter. Then I added the flour/sugar/butter topping. Baked in a preheated oven, uncovered, ( thank goodness you didn’t need a water bath ) at 325 degrees because I used a dark Casserole dish for 45-50 min. Let it sit awhile to proof. It was extreamly good. May be even better in the morning cold. Like pudding. How can I add a photo? Sounds perfect! I’m glad you liked it! Hmm..I don’t think I have the option to add a picture. It’s been too long, LOL! Made this for a family function, it was so good thank you for the recipe!! Yay! You are so welcome & thank you for letting me know! This recipe was absolutely fantastic! I found that it was even better when I let it sit overnight, baked it, let it sit overnight again, and then baked it again at a lower heat. It has more of a bread pudding consistency and gives the flavor more time to set in. I’m so glad you liked it! Thanks for sharing your changes! The top was a bit hard. Any suggestions. Everything else was delish. Not quite sure? Did it cook longer than needed? I am making this for my family on Thanksgiving morning! So fingers crossed. But I assumed the amount for the vanilla was a typo. If I put 2 tbsp of vanilla that would seriously be the entire bottle! So I used 2 tsp instead. Was the question of 2 tablespoons vs. 2 teaspoons answered? Not sure if this question has been asked. Can i cook this overnight in the crockpot? Would I put it all in them cook on low. Christmas eve I don’t usually go to be until well after midnight and we’re up by 7:30 or 8. We really love this recipe and have made it our Christmas morning tradition. I haven’t tried in a crock pot. So, that’s a good question. I guess, we need to try it out! 🙂 Glad you like it! I do not have one, I’m sorry. I would just google what some good substitutes for the heavy cream are. Hope you find some! I was trying to figure out what time to host our Christmas get together so i could plan the food, and i found this recipe and immediately called my sister and told her that we were having brunch because i HAVE to make this. Looks so good! Cant wait to try it!! It will be a hit!! Hope it’s a blast! Yes 🙂 Hope you like it!! I never have the right kind of breads for these on hand! I make my own multigrain bread, regularly. Do you think I could use that and it’d turn out? This sounds delicious! PS- so fun you have 6 kiddos! I love hearing of bigger families! We are expecting our 8th! Congrats!! Big families are fun 🙂 Yes, that should be ok! Thanks! Question — directions say to cut in butter into mixture until crumbly… could you please clarify this instruction!? Thanks!! ???? You just mix in the butter until the mixture is crumbly 🙂 Hope that helps! This is our Christmas morning breakfast tradition! I love that it can be prepared the night before and cooking while everyone spends stockings. It’s a favourite of the whole family! Thanks for the recipe! You are so welcome! That’s a great tradition! Thank you! I want to make this for Christmas and was just wondering about the bread. I know it should be stale. Was wondering do I cut the bread and then leave it out uncovered over night or what is the best way to do that? Probably a dumb question, lol. I will have hungry people so I don’t want to mess it up! Thank you so much! It doesn’t have to be 🙂 The sourdough bread is perfect for this. You do cut it up & pour the mixture over it, cover, & refrigerate overnight, though. Hope that helps! This looks delicious! Planning on making it for Christmas morning – question, do you cube the bread before drying it out or dry the whole loaf and then cut it? Either way works 🙂 Hope you like it! is the flour in this recipe self rising or all-purpose? So looking forward to make your do-ahead French Toast Bake. Can’t wait to try some other receipts of yours. Made this today and my family loved it!! So easy to make and cook. Do you have nutritional info on this recipe? I’m sorry I do not. I made this today for Christmas Eve breakfast and it was very good. I especially love that it can be made the night before. I will be making this again! I made it exactly as the recipe described, even down to the type of bread (24 oz Pepperidge Farm Sourdough). I baked it in a heavy french white Pyrex dish and it took about 50 minutes. Every Christmas morning, this is my go-to recipe. It’s a huge hit in our home, as it allows us to prepare it the night before, and Christmas morning, bake while we enjoy opening our presents. Bake some bacon on the side, and top with pure maple syrup (whipped cream & vanilla ice cream as an added treat) and we are set! That’s why we love it! Thank you for letting me know! Made this for the first time for Christmas morning!!! Was a hit!!! this was so delicious! and a big hit! one question— when you pour over the wet mixture, do you stir otto get all the bread wet? or will it seep up over night? thanks! No need to stir 🙂 It will set up overnight. Good luck! I just did this for Christmas morning. I was a little concerned reading some of the comments of sogginess in the middle but it turned out perfect! We cooked for an hour and used a little less than a whole loaf of fresh sourdough bread (probably 85-90% of loaf). I was very excited with how well this turned out and the whole family loved it. So glad I found this version to use! Thank you so much for letting me know! I’m so glad it turned out & that you liked it! I haven’t tried, but I’m sure it would be ok 🙂 Let me know if you try it! What about putting some sliced apples in too? Haven’t tried, but that would be delicious! Let us know if you try! Hi! Very easy to make. The top turned out delicious! The bottom part of my French toast bake turned out really mushy at the bottom and I cooked it for a whole 10 Minutes. Is that just how it normally turns out or is there something I needed to do? Any suggestions? It is a little, but not too much. I really am not sure why it would have been too soggy, if you followed the recipe. Was it edible? Yes it was edible for some of family others didn’t like it ???? Oops meant the whole hour! Not 10 minutes ???? I could not find unsliced sourdough bread, but my local store had very thick slices of white bread. I was concerned about mushiness or that the center of the bread might be dry. So I cut the bread into big chunks, put it into the bowl with the egg mixture and blended for a bit, then put it into the prepared pan and continued. It turned out just excellent!!! I made sure I had all the ingredients on hand to prep this last night and pop it in the oven this morning BUT I had too much fun last night and it’s been forever since this old lady has been out to celebrate NYE…so zero prepping happened when we got home. I put it together this morning and let it sit for 25 min max while I made the topping, made coffee, fed the cat, fed the dog and waited for my oven to come up to temp. It still came out delish even though it didn’t sit overnight and my kids, hubs and I loved it! I know a couple people were curious about not leaving it overnight so there you go, it totally still works. LOL!! Glad you could go have fun!! Thank you for sharing & I hope that helps others! As a single father of two kids, plus college and work, I don’t get much time to cook before its time to put the kids to bed. I was really glad that I could make this tonight and then cook it in the morning. I will have to let you know how well it comes out, but after reading all the comments bellow I am sure that it will be a new hit in my house. Wow! Keep it up! Thank you for giving it a try! I sure hope everyone liked it! Thank you for this recipe! It was so good. It made the house smell real good too. It is so quick and great for Sunday mornings when we are in a hurry to get to church 🙂 My five boys and husband loved it, too. I will be making again. Yes, it is!! 🙂 Thank you so much for sharing! Just wanted to let you know that I make this almost weekly, it’s sooo delicious! I actually use a dozen eggs and a little extra milk because we like all our bread pieces to be in the liquid AND it gives it a touch more protein. I also reduce the sugar a little more every time; it’s a good discipline;) Thanks for sharing this scrumptious treat! Btw, my phone wouldn’t let me click the fifth star, but that’s what I rate this as! No 🙂 Hope you like this! Should the bread absorb all of the egg mixture overnight? Mine hasn’t. Will it turn out ok? It doesn’t completely. How did it turn out? I this for my family this weekend and they loved it! I added the zest of one orange and it was heavenly! Sounds yum with the touch of orange! Glad they like it! Thank you!! Have fun & I hope the ladies love it!! Thank you so much! I have not doubled it, but I would say in two pans, just to be safe 🙂 I am so glad you like it! Hope they all like it! Saw this ,and cant wait to make it,l love french toast. Let me know what you think 🙂 Hope you love it as much as we do! Let me know what you think 🙂 Hope you like it! I love this breakfast! I make it a week or two in advance and freeze it without baking it. Take it out the day before and put it in the refrigerator. I have an amazing breakfast to bake the next morning with no mess! Definitely make the buttermilk syrup. That is absolutely delicious! I always have small containers in the freezer for other breakfasts. I quick trip to the microwave, and it’s ready! Thanks for a new family favorite!! I love to hear that!! Thank you so much for letting me know that your family loves it! And, great idea about freezing it in advance…makes breakfast so much easier! Do you put the topping on too before you freeze, or right before you bake? Thanks for sharing!! We have dairy allergies. Can I sub the milk and heavy cream with canned coconut milk? Wanting to make your Easy Lemon Cake. It calls for chocolate pudding. Is that correct? Thanks! Could you let me know the exact recipe name you are talking about? I have a lot of lemon recipes & the ones I looked up, I didn’t see chocolate pudding in the ingredients, so I am not sure which recipe it is. Thank you!! I’ve tried to make a cinnamon toast bake and failed but somehow it still tasted ok. I need to follow a recipe so I’ll try following this one. I don’t have all the ingredients, but I really feel like some cinnamon toast right now or something similar to it. And I like french toast, but what like it a little crispier so this looks like a good recipe. So I’ll attempt it with whatever ingredients I have lying around. lol. Let’s see if I can try this today. Oh, and trying this with sour dough bread would probably taste really good. The next time I get sour dough I’m definitely trying this. This one is easy & so good! Let me know what you think of it! Sour dough is so good for this! I made your French Toast Bake for breakfast this morning and it was absolutely delicious!!! The topping was soooooooo good and then on our serving I sprinkled a little bit of powdered sugar and added some syrup. A keeper of a recipe for sure!!! Perfect!! Thanks for sharing what you did..sounds good! My sunday school class LOVED this delightful breakfast… it was a hit… thanks to your generosity to share… Will make again and oh by the way it’s better the day after???????????????? I am so glad they liked it!!! Thank you for trying it & letting me know 🙂 And, yes, it is better the next day! Your formula is amazing! That dish looks very attractive. I will proceed to do it now. Thank you!! Hope you like it! I am making this tonight for tomorrow. Half batch cuz it’s just my hubby & I. I’ve made baked french toast before but sliced not cubed. This looks very yummy. I am going to follow your directions but add some chopped pecans on top. I love them on Baked French toast. Thanks so much for sharing this recipe. You are so welcome! I hope you like it!! Adding pecans would be great! I don’t usually leave comments, but this was easy to make and delicious. It also heated up easily in the microwave for leftovers the second day for breakfast! Thank you for leaving a comment! I appreciate it so much! I am glad you liked it! OMG awesome recipe!!!! I made this for the kids last night and they loved it! It is so delicious!! I haven’t tried leaving out the cream, but milk should still work. Though, I do not know if the outcome will be the exact same. Why so much butter? I can’t get the crumble to crumble. Did you use cold butter? It should crumble..I wish I knew why it isn’t. Since, it’s spread over the whole pan, you need that much to cover it. You could add less, if you’d like. I wish I could be more help. Yum!!! Made it this morning and it was fabulous! The only thing I did different per another comment – pulled the pan out of the fridge and let it sit out about an hour and a half, and once it was ready, I let it sit for about 15 minutes. I also let it sit under the broiler for extra crunch. Thank you for sharing this. I will be sure to make it again! BTW, I made this with 1.5 loaves of French bread ( not baguette) that I had purchased the same day I prepped it (yesterday), and it was excellent! Woohoo!! Sounds great! Thank you so much for letting me know. I am so glad you liked it! Does anyone know if I can leave it in the refrigerator for longer than 6 hours? yes, that will be good. You won’t face any issue. You are so welcome!!! I am glad it was a hit 🙂 Thank you for letting me know! I haven’t tried making it without it or substituted it. I would look online for good substitutions, since I am not sure. I hope you find what you need. Just curious, could you leave this in fridge longer than overnight. Thinking of making it Friday afternoon for an event I have Sunday morning, just don’t have time on Saturday to do it. Oops, I read other comments after I posted my question and got my answer. Sorry, should have read thise first ???? Excited to try it out. The French Toast Bake is amazing. The first time I had it a friend made for us while we were on a girls retreat and I loved it. I made it this morning and I used challah instead of sourdough bread, I don’t think there was any difference in consistency or taste. My husband loved it! I am so glad it was shared 🙂 Thank you so much for sharing that! This is my all-time favorite breakfast dish for large groups. Its so easy to searve and feed lots of people. Thanks for sharing! You are so welcome!! And, I agree! It’s the perfect dish for company & groups! Thank you! SO delicious and perfect to make for brunch on the weekends! Agreed 🙂 Thank you so much!! Oh my, this look and sounds incredible!! Can’t wait to try it! Can’t wait for you to try it 🙂 Hope you like it!! Such a great weekend recipe! Agreed 🙂 Thank you so much! Oh my goodness- I HAVE to try this! I sure hope you do!! It’s one of my favorites!! This looks so yummy! I love the idea of using sourdough bread. I bet it is a nice balance to the sweetness. Can’t wait to give it a try! It sure is!! I hope you like it, as much as we do!! Thanks Kara! This will be perfect for Sunday morning! Waking up knowing breakfast is waiting will be such a treat! It is nice knowing it’s ready for you! I sure hope you like it! This is my go to recipe for family brunches and it’s always a hit! Love that I can do the prep work the night before. SO good!! That’s what I love about it, too!! Thank you for letting me know! I first had this recipe at a baby shower. It was to die for! I’ve since made it several times. It’s the perfect breakfast on a lazy Sunday morning. 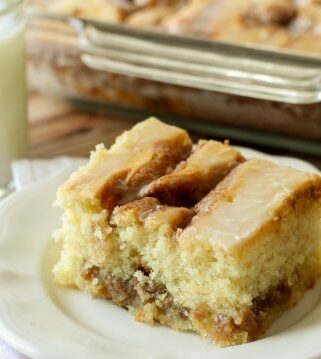 We have guests in our home frequently, and this and your coffee cake recipe have been a life saver. It feeds a lot and is soooo delicious. Thank you for making my life easier! French toast is my favorite & I love how this can be made the night before. It made the morning so easy, knowing breakfast is made. It made the house smell so good & my whole family loved it! Can i use french bread baguette? Has anyone used this bread? I haven’t tried, but I am sure it would 🙂 Enjoy! I love the easy fast recipes for after work meals. After a long day, it’s nice to have a good meal that fast easy and not a lot ingredients. I so agree with you!! Thank you so much! I plan on making this for a baby shower. Wondering What the easiest way wpuld be yo double the recipe or cook two at once? I would probably cook two at once, side by side 🙂 Hope it’s a hit!! I’m Making this for tomorrow’s breakfast! Love how easy it is and i’ll leave a comment tomorrOw after my husband and kids try it! Wish me luck!! I made this the other night with some leftover dinner rolls (from the big costco bag). It was the perfect bread consistency (a few days old) and soaked up the egg mixture so nicely. I layered some cooked cinnamon apples in between layers and cooked for 1 hour in the oven. I only made an 8×8 pan and there was definitely too much egg mixture left over, so if i repeated i’d definitely reduce to no more than 2 cups of liquid and just 5 eggs. perfectly delicious, especially paired with an apple cider syrup and bacon. Yum!! Sounds perfect! Thanks for sharing! I cooked this recipe for a bRunch i had at my house. I used cinnamon chip bread from a local bakerY. There was zero leftovers and is now a staple for brunch from now on. Great idea! I am glad it was a hit 🙂 Thank you for sharing! This recipe has been a go-to for our family since I discovered it! I like the convenience of this make ahead casserole. It was good but i will add some cinnamon to the bread and egg mixture as well as doubling the cinnamon in the topping next time. Just because we like cinnamon a lot. It presented well. I served it with breakfast sausages and a frUit plate. That would work 🙂 Thank you so much for giving it a try! I am so glad you liked it! I love Make ahead dishes and we love breakfast for dinner. I used the round sourdough loaf, cubed it and put it all together. It has a crunchy sweet topping that really makes for a good french toaSt bake! I made this for my son and his wife which they loved. So I made them another one that they could cook in the morning. However they did not make it and it is now a day later. Will it still be okay to eat. Could i cut the refrigeration time down? Id like to make this now and cook for dinner, would 3-4 hours be enough? It should be ok, though I haven’t tried. Hope you like it! Then you will love this!! I hope you try it 🙂 Thank you! How mAny cups of cubed bread? I’m not sure how many cups it is, but it is the whole loaf of sourdough bread. It makes at least a few cups. This looks Amazing and I plan to make it tomorrow for our work potluck! Cant Wait! One question THough, what kind of milk did you use? I See a lot of COMments mentioning buttermilk but I just want To make Sure so I dont mess it up! Thank you! I made this recipe according to the instructions. I used a loaf of La Brea sourdough bread. It turned out divine and was a hit at the party I where I shared it. I served it with buttermilk syrup (my own recipe). I am glad it was a hit!! Thank you for giving it a try! if i make a double batch does the bake time also double? thank you! No, but it may need to be in a little longer. Check it at normal time, then you may need to keep adding a few min at a time, until it looks done. This is also great if you Use gluten free flour and Gluten Free bread. I do not soak the gluten Free bread overnight because it gets way too soggy and doesnt hold up. You can toast the gluten Free bread a bit before you toss it with the egg MIXTURE. I add the egg mixture about 10 minutes before I cook it. It turns out great and no one knew it was Gluten free. Just make sure you use gluten free flour and vanilla extract. It it was pretty good. Ha had it for Thanksgiving brunch and everyone loved it. I did use sourdough bread but it was fresh so I cut it into bite-size pieces and I put it in the oven at 350 Fo for about 15 minutes just to get the bread toasted. I c I cooked as directed in about 15 minutes came out perfect. Co could not have been easier. Will probably make for our Christmas brunch because it such a hit. I made this recipe for a breakfast for a family brunch. Everyone lived it. I used a Challa loaf aNd it was awesome. Will def make again. I am so glad to hear that!! That sounds yummy! Thank you so much! WouLd it be ok to make this 2 nIghtS prior to use rather than just 1 night prior to usE? It should be ok 🙂 I haven’t tried, but it should. I’ve had great experience using the croissant rolls from Sam’s Club Bakery. Half of a pack (6) is the perfect amount for one loaf of bread. Then i can use the other half for sandwiches or a savory Breakfast casserole. That is a great option for sure!! Thank you for sharing that! Omg – died and went to heaven! Simple, delicious, and so very tasty. Will be making this often! 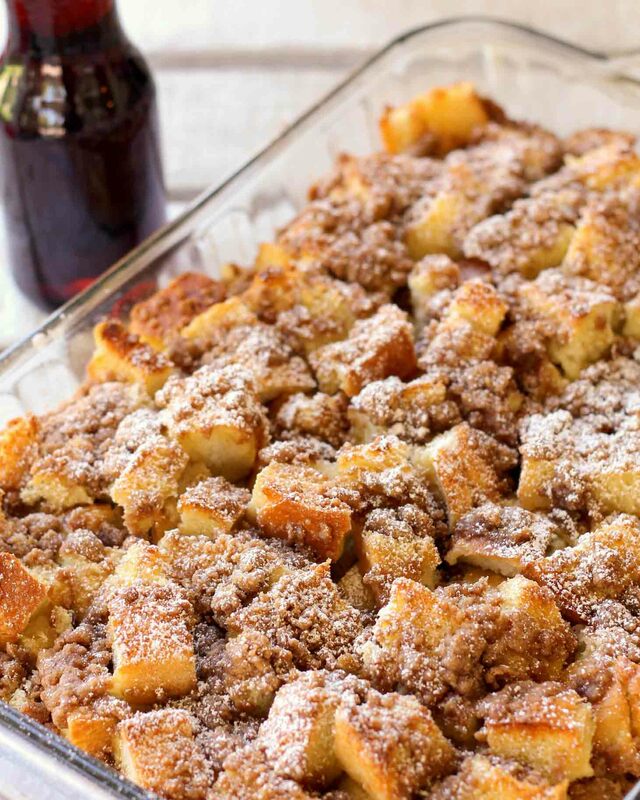 This French toast bake was a hit with my family. I loved that it was ready for me, come time to bake. It tasted so delicious, with the perfect amount of cinnamon! I can’t wait to make this for my extended family. I am thinking that you meant 2 teaspoons of vanilla, not 2 tablespoons right? I used a round sourdough loaf and worked out fine. Everyone lIked it and asked for the recipe. I served with berries and whipping cream. Thank you for the easy recipe. I had most ingredients on hand. Perfect!! I am glad you liked it! Thank you so much! so easy and super delicious! I am so happy that you think that! Thank you so much! Hoping to make this for brunch in a few weeks. I might do a trial run, if i wanted a half barch do yiu think its safe to just half All the ingredients? Yes, it should be 🙂 Hope it’s a hit! I personally haven’t tried, maybe for the cream, since it is thicker than milk & more like cream. Can your French toast bake recipe be made ahead of time and frozen before baking? I made this for thanks morning! My famiky cane from california and i wanted to make them something super yummy. I picked the french toast bake and everyone loved it. I will for sure be making this again real soon. Probably christmas morning. ?? I can’t say enough nice things about this recipe. I just bought my first home with my boyfriend and we had my family over for brunch and to see the place. normally my family is not a sweet breakfast type, however, I presented this as a “side dish” (we are Italian, most of our side dishes are normally the main dish size) and they loved it. My ma has raved about it for days now. The best part was getting to do this the night before and the day of I just had to pop in the oven. Bravo to this recipe! Love this! I am so happy to hear that! Thank you so much for giving it a try & congrats on the new house! Awesome! So glad to have this made ahead breakfast recipe on hand just in time for the busy holidays schedule! Thank you!! Yes, it comes on very handy! This casserole is so delicious! I baked mine 1 hour, because we like it crunchy. I will definitely make it again soon and share the recipe with my friends. It’s perfect for busy morning. The only thing I will change cut back on the white sugar. Thank you so much for sharing that!! Glad you liked it! I made this today for a breakfast my husband had with his networking group. My house smells amazing and The casserole tastes delicious! It was so easy and so delicious. I’ll definitely be making this for our Christmas morning brunch! Yay!! I am so glad you gave it a try & like it!! Thank you so much! Looks amazing… I can’t wait to try iT! One question: do you think I can double the recipe and bake it in a large lasagna pan? You sure could 😉 Enjoy! This was awesome! I modified based on what I had on hand and time: loaf of french bread that I left out for about a day; all 2% milk with No cream; and only had it refrigerate for about 3 hours. It took about a full hour to cook through. I have 6 kids – all loved it, no leftovers. I will make this again and again – thank you! Yay!! Kids love this stuff! I am glad yours did! Thank you so much! I noticed once your bread was all cubed up in the pan, it looks yellow. There are some plain pieces iN there that seemed Untouched But mOst all in the video the bread is yellow. Did you butter the bread as it sits overnight? Di you think i gould use sourdough english muffinS vrojen into pieces For this? My lical grocery stire doesnt carry souRdough bread. I have never tried. It really isn’t a doughy bread, so I am not sure how it would turn out. Can this be par cooked ? i accidently used 12 eggs instead of 8. I didn’t pay attention. it was so delicious! Also, I made homemade blueberries on the side because it has bread pudding flavor to it. i drizzled it with syrup. It is a big hit in our house. thank you! Yum! Lol..I am so glad you liked it! Thank you! I’ve actually made this with Sweet Bread loaf. the bread is drier and took less time for it to be on the stale side. Cut back some on the sugar also. I used a bit of maple syrup added to the egg mix. comes out perfect every time. I bring it to work on Christmas eve for our crew and bake it while we work. its a tradition now…Thanks so much for sharing. its always a big hit!! oh, using maple syrup in the mix eliminated the need to use it after its baked. Thanks for sharing what you did!! Sounds great! I am glad it is a hit! That sounds delicious!! Thank you for sharing that. I will have to try! Made this for a family Christmas brunch and it was a big hit. I had to make this for someone lactose intolerant so substituted coconut milk and coconut cream. I doubled the brown sugar and cinnamon in the topping and added cinnamon to the egg mixture as well. plenty sweet and no need for syrup. That sounds perfect! I am so glad it was a hit. Thank you for sharing that! This recipe Tastes so amazing and turns out PERFECTLY every time! I give this recipe 5 stars because of ease and taste! Yay!! I love hearing that 🙂 Thank you so much! I Made this for our Christmas Morning, used King’s Hawaiian Bread. I think I’ll bake it 60 minutes next time instead of 52. But it is delicious! Love This! I used a whole grain skinny French bread instead. I also added some small cubes of cream cheese. My mom makes a French toast casserole and my husband doesn’t like the texture because it gets soggy. The skinny loaf stayed firm and everyone loved it! I’ll definitely be making this again! Sounds great!! I will have to try! Thank you for sharing that! I made this with Gluten Free Bread. It turned out awesome! Everyone enjoyed it for Christmas breakfast. Perfect 🙂 Thank you so much for letting me know! Glad it was a hit! deliSh!! I used stuffing bread as i it left over from Thanksgiving. I Also Screwed up my topping and ended up with a paste. So in the MORNING i used my cheese grater and grated it on top! Baked 350 covered for 45 Min and at 400 UNCOVERED for 15! Awesome!!! Made Christmas eve for christmas morning breakfast! Delicious and fed 8-10. Thank you for trying it!! I am glad you liked it! Made the French toast bake! So good! I used Brioche bread! Sounds perfect!! Thank you for letting me know! I make A French A French toast casserole every year for Christmas , DeDecided to give your recipe a try so i made this recipe with Pepperidge Farm baked apple with Carmel bread .. have used other Pepperidge farm breD and it works well with this recipe the topping made this , it was amazing I would definitely will make this again! I am happy to hear that!! That sounds great! I will have to try with that bread! Thank you! I used french bread baggette bread because It was all i could find. It was hard and i was concer but it came out abso delicious! Every enjoyed it! Yay!! I am so glad it turned out 🙂 Thanks for sharing! Perfect!! Glad it did 🙂 Thank you! Made this for christmas morning. can we say yummy! Family loved it! very simple to make ahead. Our store was out of sourdough bread so we used brioche. Will definitely have again. I am glad that you tried it & that it was a hit 🙂 Thank you so much! I have been making this Recipe for more than three years, the whole family loves it! I have to say I don’t think I have ever made it with traditional bread. We always try to find interesting breads to use. One you my sister found apricot bread, it was full of dried apricots and we used vanilla egg nog with it that year. This recipe never fails me. This Christmas we used Madagascar bourbon vanilla bread and new England Blueberry (two separate days), again everyone loved it! Thanks for the great recipe. Oh yeah, this works out great for our family vacations as well. Great ideas!! Thank you for trying it & for sharing what you do! one of my family’s favorites. when i asked what they wanted christmas morning for breakfast this is what they chose! I am glad they did!! Thank you so much! YUM…BEST make ahead baked french toast recipe!!! Thank you for saying that!! Love this recipe! My family asks for it every holiday. What i love is that u can make breakfast the night before and then just pop it in the oven in the mornin and sit back and drink your coffee! That’s what I love too!! I am so happy your family loves it! i made this for christmas morning breakfast and everyone loved it!!! it was gone in a flash! my kids want me to make this regularly not just for holidays. thank you so much! That’s what I love to hear! Thank you! Awesome! This was the first time we’ve ever tried making a french toast bake and this was so delicious 🙂 thanks for sharing! You are so welcome!! I am so glad you tried it & liked it! Thank you! My family said this is the best French toast I ever made! Thank you!!! Yay!! I am so happy they liked it! Thank you! I have made this recipe twice and it was DELICIOUS . Everyone loved it. I used the sour dough bread, and I added CINNAMON to the egg MIXTURE as well. Great for anytime of year. Sounds perfect!! Yes, It’s great all year long! I made this with cinnamon brioche twist and it was amazing!!! this was for a weekend retreat. what little there was left over reheated well and the primarily male group loved it. That is good to hear!! Sounds yum with that bread! Thank you for sharing! It was for christmas breakfast, and came out great! My family lovrd it! Perfect for Christmas morning! Thank you so much! So glad to hear!! Thank you for trying it! Can you make this in a crockpot? I love french toast and this was delicious! I baked it for 1 hour because i like french toast well done. The lefTovers were Good heaTed In the microwave. I am planning to make this the next time family comes To visit. Glad it was a hit! I hope your family will love it, too! Thank you for letting me know! Thank you & I know what you mean! Family loved it. Making to take on trip to mountains and wanting to make ahead of time do i freeze before i cook it or after cooking it to take with us. I haven’t tried freezing it, but I would think before cooking would be ok 🙂 Have fun! 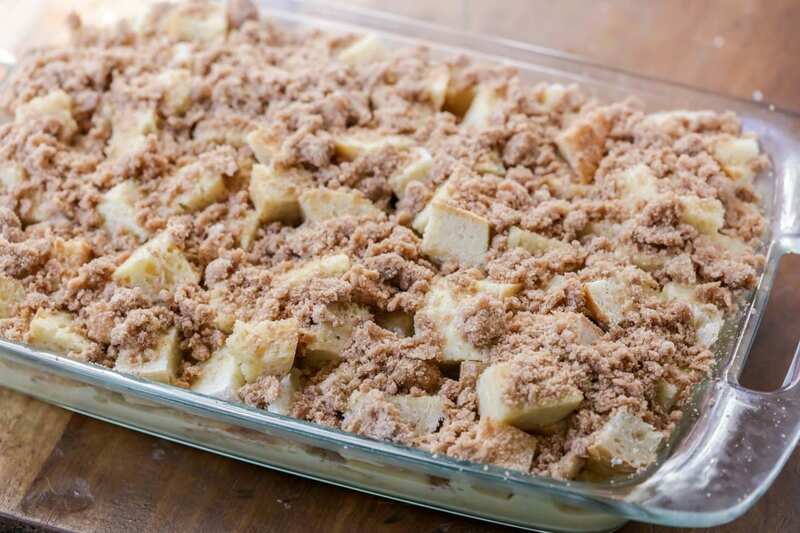 My topping isn’t crumbly, it’s one solid chunk… Can I fix it? This is Delicious! Brought it to a work bruNch and eVeryone loved it. Definitely making again. Thanks! I made This last week and it was a big hit for us!!! It was like a meal prep meal on sunday, i put it in the oven Monday morning! The kids anD i had breakfast for a few Days! That is why we love it! It’s ready for me to bake in the morning. I am so glad it was a hit! Made this for Sunday breakfast. Sooo good! I had this at my daughters house the past two christmases. it is wonderful! I plan to make it for a send off for a co-worker. do you think it would work in a crockpot? It should 🙂 I haven’t personally tried, but I don’t see why not 🙂 I am so glad you like it! This was a very easy dish to make and a favorite in my house. I used regular white bread for this recipe and I didn’t soak my French toast overnight. It turned out very good! I will definitely make this again. Glad you liked it!! Thank you for trying it & for letting me know! I hope you did enjoy! hI, can i use almond milk instead of WHOLE MILK? I’ve made this twice now and it tastes DELICIOUS! However, mine always burns a little on the bottom. 🙁 Has anyone else had this problem? How do i avoid that? I want to make it again for this easter!